Some of the best beaches in Kerala are in and around Kochi. If you are visiting Kerala and is wondering whether to visit Kovalam or Varkala from Kochi, you may not because good beautiful sea view resorts are available near Kochi itself and you can actually save almost one day it takes to travel from Kochi to Varkala. Few of the best beaches near Kochi are Cherai Beach , Marari Beach, Fort Kochi and Andhakaranazhi. Distance from Cherai Beach to Kochi is 39 Kilometers. 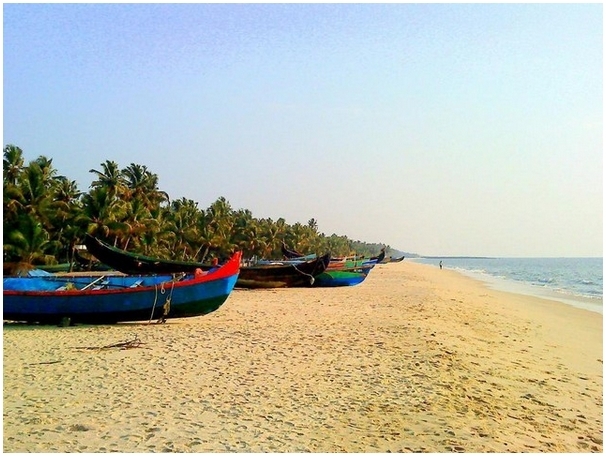 Cherai beach is popular among the people in Kochi and is among the must visit places in Kochi. 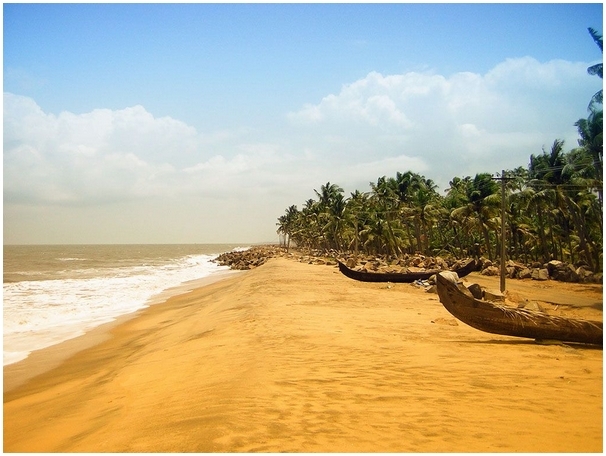 Cherai is a very clean and shallow beach and thus, ideal for the purpose of beach breaks. A rolling area of rocks and knolls overlooks the pounding waves here which attracts ever-more people to enjoy the beauty of the sea. A critical mass of beach resorts has appeared here and you can wander between the waves and join other travellers for a beer in the resort, to watch the sunset. Distance from Mararikulam Beach to Kochi is 46 Kilometers. Mararikulam has a really beautiful, clean beach which is frequented by foreigners who stay in few of the best beach resorts in Kerala. 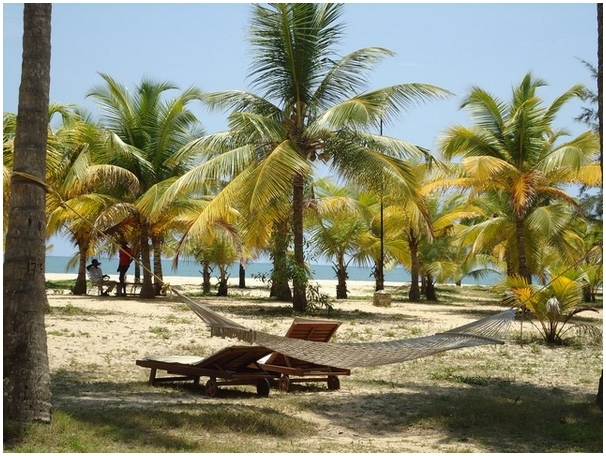 This may be the only beach in Kerala with coconut trees lining the seashores. One of those kind of beaches you find in the ads is magazine covers with Coconut trees swaying over fine, white sand, lapped by clear, clear water and a fishermans canoe somewhere in the sea. The beach is virtually deserted at most time of the day and there are private beaches of resorts as well in Marari which makes it one of the most sought after Kerala honeymoon destinations . The general atmosphere is laid back and Marari has slightly expensive tourist facilities than Cherai. Distance from Andhakaranazhi Beach to Kochi is 28 Kilometers. Andhakaranazhi is a hidden gem among the beaches in Kochi. Known only to a select few who frequent this beach to enjoy an unpolluted sea. This beach has a Tsunami shelter and has a fishermen colony just near the beach and you have to be careful while loitering around as the beach may be not as clean as the other beaches in Kochi. The beach is postcard perfect with clean & clear water, and the local fisherman and their boats are great to watch as you sit under an umbrella sipping a lemon juice.Swimming is safe and the beach is not as tourist crazy like Cherai or Fort Kochi.There is also a shack on the beach for coffee, snacks and juice called Summer Luv which is popular. Andhakaranazhi is a confluence of backwater and the Arabian Sea. Distance from Kochi to Fort kochi is 7 kilometers. Fort Kochi Beach was always regarded as one of the most beautiful beaches in Kerala with a road with Chinese Fishing Nets that leads to the beach. 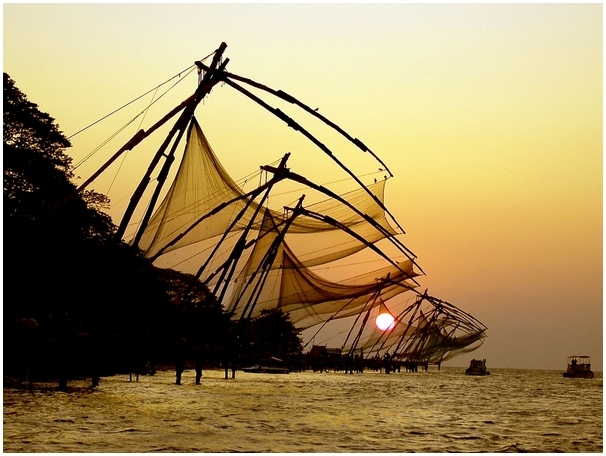 Fort Kochi was a destination where culture , history and sea comes together. The beach is too crowded these days and it may not be to the liking of so many tourists who are looking for a quiet and pristine experience. It is an ideal picnic spot in Kochi for people, who come here either alone or in groups and is also famous for the cochin carnival celebrations on the new years eve. Have you visited any of the popular beaches in Kerala and Kochi? . Which do you think is the best beach near Kochi ?